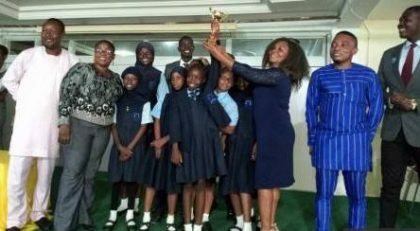 Prime Scholars Academy School, Karu, Abuja, has emerged winner of the fourth edition of Best Brain Concept Mathematical competition beating nine other schools who competed in the mathematics quiz. Mr. Jude Numfor, the organiser of the Mathematics competition, said the event was aimed at stimulating interest in mathematics and help students recognise their potential. He said that participants of the competition were selected from 10 schools in FCT, with good grades in mathematics. “The primary aim of the competition is to encourage the study of mathematics and to source funds to train intelligent but less privileged students in the society. “The first three events were an efforts to get to this stage, in this edition we were able to get sponsors for three students for the scholarship. “I am impressed with the fact that we are achieving our goals of helping the less privileged ones in the society,” he said. He appealed to corporate organisation and well-meaning Nigerians to extend their hands of charity to help the less privileged in the society. He regretted that corporate organisations did not sponsor educational programmes but rather invest millions in entertainment shows which added little or no value to the Nigerian Youths. “It is worrisome because if this exercise was to be a talent show, corporate organisations would be here to sponsor it. “But because it’s an educational programme they are not here for red carpets and to give out millions to people who will dress indecently,” he lamented. The organiser, however, called on the government to invest adequately in the educational sector for the economic development of the country. “We call on other Nigerians to help us breach the gap between the educated and uneducated in our society. Mr. Bako Gideon, a mathematics teacher with Prime Scholars Academy School, said he was proud to see the students he coached win the competition. Gideon added that there was no monetary value attached to the trophy, but the feeling of being the champions was great and called on corporate organisations to support the concept. 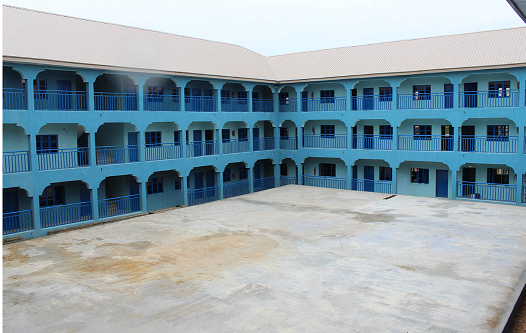 Out of 10 schools that participated in the competition, Prime Scholars Schools Karu came first, Genesis Christian Academy Kuje came second while Noble Heights Academy Kubwa emerged third.